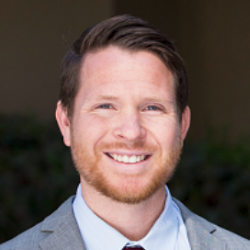 Andrew Reid is a Deputy District Attorney who has practiced law in Ventura County since 2009. He began his career at a civil firm where he practiced employment law, civil litigation, and real estate law, before joining the Ventura County District Attorney in 2012. As a Deputy District Attorney, Mr. Reid has obtained guilty verdicts in multiple serious and violent cases, including a murder trial in 2017. Mr. Reid is assigned to the Special Prosecutions division of the Ventura County District Attorney’s Office and currently prosecutes insurance fraud and consumer and environmental crimes. His wife, Amber, is a wedding photographer: Andrew, Amber, and their son, Hunter, live in Ventura and are lifelong residents of the area.